250 is the only USFIRST robotics team in the Capital Region of New York. 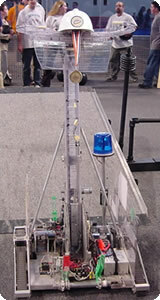 This team has participated in the FIRST Robotics Competition since it's inception ten years ago. We worked hard to create this site and we hope you find it of interest.